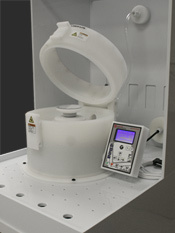 "The spin coater arrived two weeks ago, and is already operational. [It] is perfect, it's giving me good results, as I imagined. I would recommend it to all my colleagues." "I am pleased, very pleased, to tell you that your instrument is even better than expected. We're very impressed by the ease of use and the reliability of your spin coater." "The device works perfectly for this purpose and we have been very satisfied." "Thanks so much for taking care of us so well. So far, we've been thrilled with your product. It's light years better than some of the competing instruments I've seen. Everything in the entire process has been smooth from buying over support to application. And the product is reasonably priced. Unfortunately, you do not find this kind of quality in a lot of companies these days (especially in this country...). So cheers to Laurell! " "Thank you very much. I am very happy with the equipment, the sales process and the fast delivery." 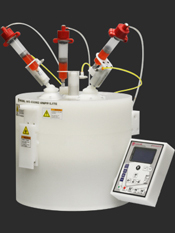 "We've had nothing but good experiences with the two existing Laurell spin coaters in our laboratory. Thanks again for your attention"